Before there were drugs, there was nature. You can change your life by changing your diet. 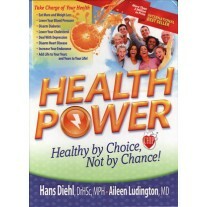 You also can enjoy more vibrant health just by tapping into nature’s cornucopia of vitality-enhancing foods. 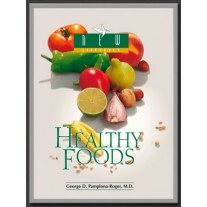 World-renowned nutrition expert Dr. George D. Pamplona-Roger shows how to get started on the pathway to better eating by exploring the nutritional value of nuts, grains, sprouts, and vegetables, and explains the benefits and dangers of various types of food. What about soft drinks? Coffee? Salt? Sugar? Wine? Meat? Dairy products? Pasta? Olive oil? Is meat addictive? Does it cause cancer? Alternatives to meat? How to avoid toxic fish. How to reduce your cholesterol. How to solve the constipation problem. A diet for diabetics. 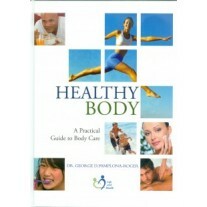 In addition you will discover foods that help you avoid weight gain. Foods that help you breathe more freely. Foods that help you digest. 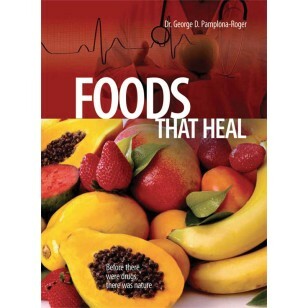 Foods that battle infection. Foods that benefit the skin, muscles, urinary tract, intestine, stomach, liver, lungs, blood, arteries, heart, nerves, and eyes. Furthermore, just because food is medicine doesn’t mean it can’t be delicious. The luscious photography will make your mouth water over the delicious natural foods pictured on these pages. As an added note, this is an excerpt of the three-volume series Encyclopedia of Foods and Their Healing Power by Dr. Pamplona-Roger.